My "Texas" graphic is completely finished and ready to be printed! So far I've made burgundy, mint, orange, and metallic gold towels. Eventually the graphic will be applied to long-sleeved tees as well once I get the towels up and off the ground. For my sister's bridal shower invite, I was allowed to have free reign with the aesthetic and colors. It was very difficult to narrow it down to just one style, but I decided that hand lettered invites with subtle watercolor accents suited her personality best. This was one of my first stabs at hand lettering, so it took several hours of layering and piecing together stacks of ripped pieces of tracing paper until the whole invite came together and looked cohesive. 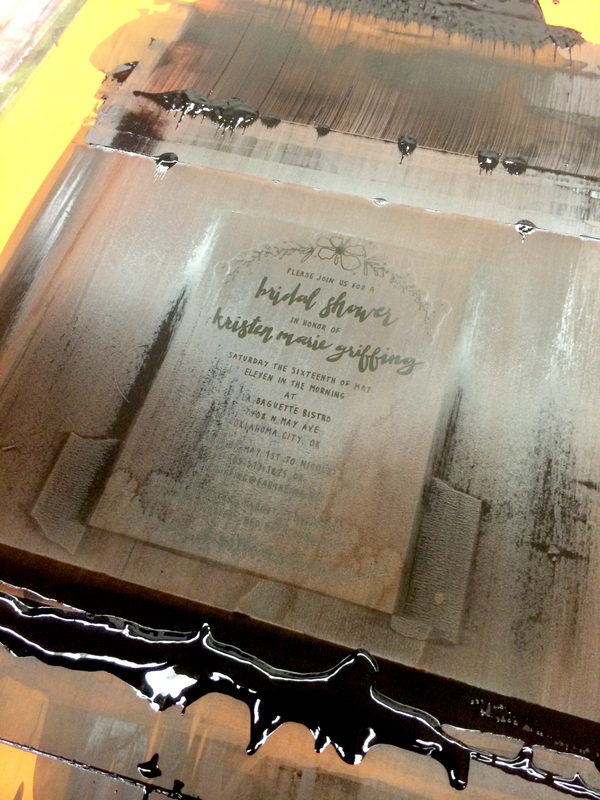 Then came the process of screen printing and applying watercolor in layers to every invite, one at a time. which was also time-consuming but so worth it to see the excited look on her face when I revealed it to her. I received a fantastic online response to these as well. I meant to write about this sooner, but I got caught up with end-of-the-year shenanigans and a super fun jaw surgery over the break, so I forgot. I ended up selling about 35 towels and also a few shirts and card packs. I sold the towels for $10 each and made a profit of about $8.50 per towel. All in all, not a bad run of sales. 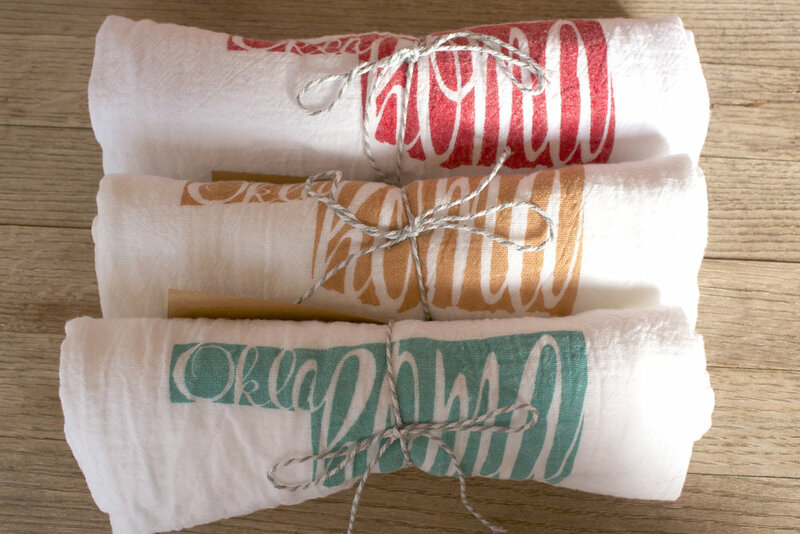 In other news, I just started selling my Oklahoma prints and now Oklahoma tea towels (packaged and branded with my logo) to STASH, the same store I've been selling my bracelets to. As an artist, I'm extremely thankful to awesome stores like STASH who are purveyors of local artists' goods. I'm also working on a new print to try to sell to one of the local stores on Campus Corner. With any luck, I'll be able to add another vendor to my list. The past month or so I've been working on some new serigraphy projects to sell. As it just so happens, the end-of-the-year exhibition for our intermediate serigraphy class will take place in an art market setting in downtown Norman at the Second Friday Art Walk. This will give me the perfect opportunity to dispense more of my artwork into the community. Here's a sneak peek at a few of the items I'll be selling this coming week. I've already got a load of pre-orders to fill before the event has even started! As for updates on my Oklahoma shirts and prints, I've been selling them for a few weeks now, and I've sold about 51 shirts. 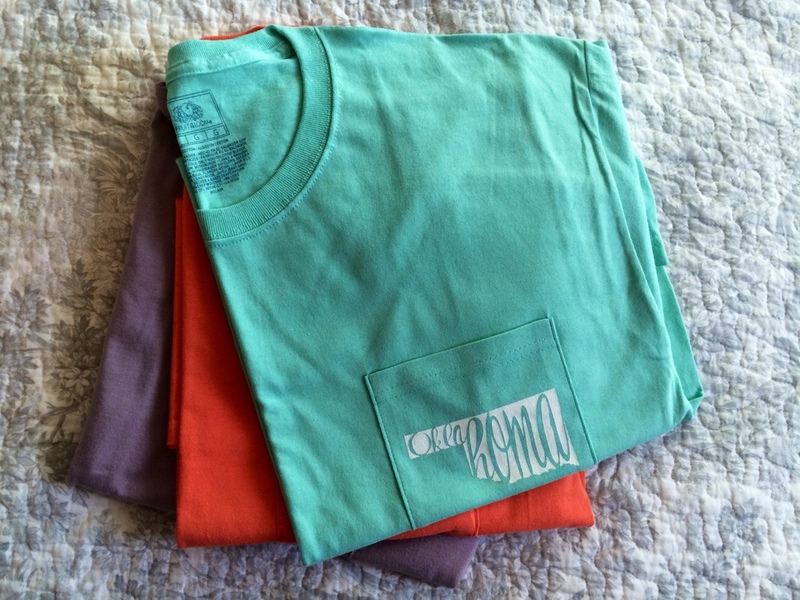 Subtracting the costs of the materials, I turn about $9 profit per shirt. As it's coming up on finals week, I can no longer take orders, but I'll be selling what I still have left. It's definitely been an experience balancing school, work, and this little project, but it has been so worth it. It's a wonderful feeling seeing my work worn around Norman. We'll see what the upcoming semester brings, but I'm thinking I'd definitely like to continue this project and expand upon it.